Four children have died in a house fire which has left two adults and another child in hospital. The blaze tore through the end of terrace home in the Highfields area of Stafford in the early hours of this morning. Fire crews have now extinguished the flames but say four children died inside before they could be saved. Two adults and another child were taken to hospital and are expected to survive the injuries they suffered. ‘Two adults and another child are being treated in hospital. Their injuries are not believed to be life-threatening. 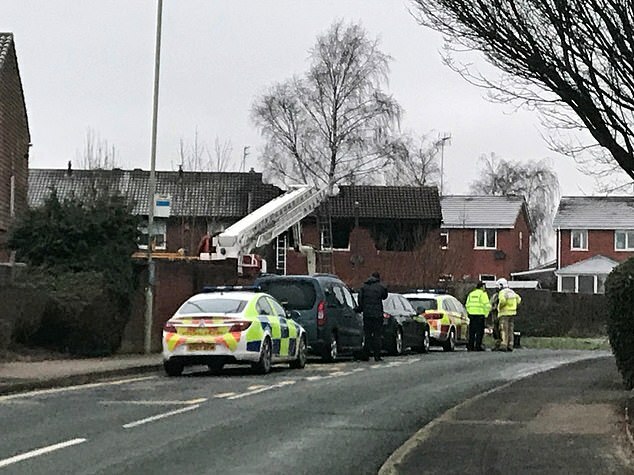 ‘Colleagues from Staffordshire Fire and Rescue Service are examining the scene as the investigation into the cause of the fire begins.